Despite not having slept since yesterday (pulling all nighters once again; such a great example...) I remembered that today was Podcast day, otherwise, I miss my two-week deadline I have set for myself. Amazingly, I feel like this podcast is really animated (as animated as speech can be) and one of my more confident ones. I suppose it takes bringing Zombie Chiima out to make the podcast lively, huh? 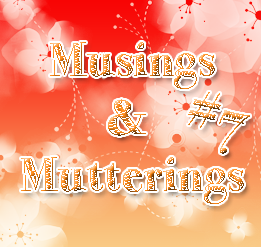 For Episode 7 though, I decided to keep things light-hearted and nice - last weeks episode was not the easiest of topics, so I wanted to make sure that today, this podcast would be a little fun. That said, I do bring up the topic of panic attacks briefly; when I talk about my week, I like to do so in full, and I even try to give some advice! Wow. Honestly though, for these past two weeks, it does feel like I have been busy one way or another, and it does feel like my world has collided with Idols, once again. I sometimes feel distant, like my personal life and my world of Idols are very separate, so this week or so has felt like they are more-or-less together and ramming into each other, which, in a way, is nice; I haven't felt like my personal life and Idol world have come together much lately, so now that it has, it feels great to me. Hence the title of my podcast, once you see it. Seriously though, the past two weeks have been fun, but a bit of a roller-coaster ride to. There is lots to look forward to though, and I honestly hope that the next two weeks are just as good, because hey! It's nice to have stuff to talk about, right?